Two Scottish family food businesses have combined their expertise, and a host of delicious Scottish ingredients, to produce the perfect ‘grown-up taste for a summer’s day’. 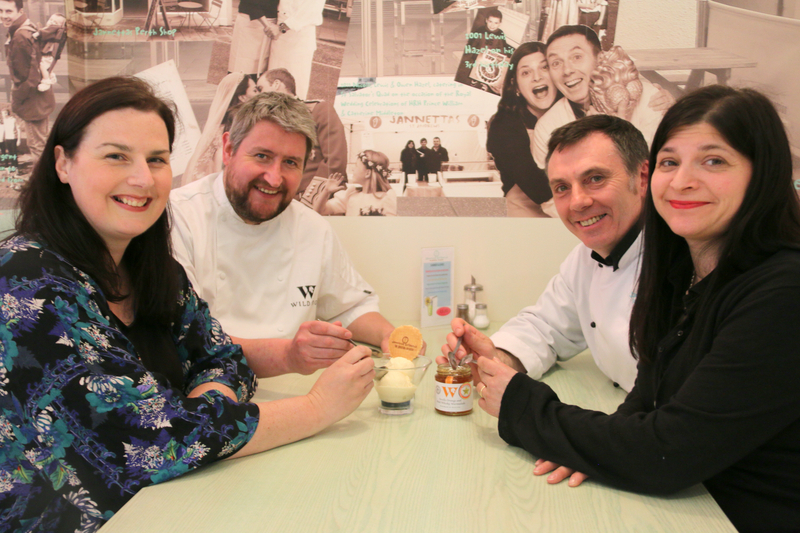 To be launched at the Opening Evening and Festival Party at Crail Food Festival on Friday 10 June 2016, St Andrews ice-cream institution Jannettas Gelateria and East Kilbride-based bespoke catering company Wild Fig have created the tantalising Seville Orange and Malt Whisky Marmalade Ice-Cream. 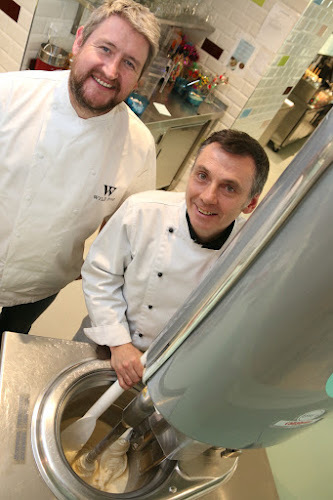 The recipe partners Wild Fig’s award-winning Seville Orange and Malt Whisky Marmalade, created by its founder Justin Maule, also Chef Ambassador for Scotland Food and Drink 2016, and Jannettas’ fourth generation secret ice cream recipe. Foodies descending on Crail this weekend can look forward to a delicious combination of creamy Jannettas ice-cream, the kick of rich Glengoyne malt whisky, and tart Seville orange marmalade. The ice-cream will be served at the Friday launch party and at dinner the following evening, and sold at Crail Harbour on Sunday 12 June. Both Justin Maule and Owen Hazel will also be handing out tasters, explaining the collaboration and enjoying a wee dram or two to accompany their ‘Ask the Chef’ session, also on Sunday 12 June (12.15pm, Legion Hall, Crail). It is hoped that the ice-cream will also be sold within Jannettas Gelateria, a regular haunt for Justin, his wife Nicola, and three children, who holiday in St Andrews regularly throughout the year. Although not local, Seville Oranges enjoy a rich and long-standing association with Dundee. Back in the 18th Century, a cargo ship docked in the city during a storm and the Keiller family took the opportunity to buy some of the oranges and combine them with sugar to create marmalade, now synonymous with Dundee’s heritage. Crail Food Festival, now in its sixth year, sees the East Neuk village of Crail come to life with local food and drink producers showcasing Scotland’s wonderful larder. With street food pop-ups, Ask the Chef tasting sessions, chocolate larder, children’s tea party, producers’ market and cookery theatre, it’s a great day out for the whole family. An adult day pass, which includes car parking and access to all venues, is £5. Children are free. Tickets for evening events can be purchased separately. For more information, and to purchase tickets, visit www.crailfoodfest.co.uk, follow @CrailFoodFest on Twitter, or visit Crail Food Festival on Facebook.